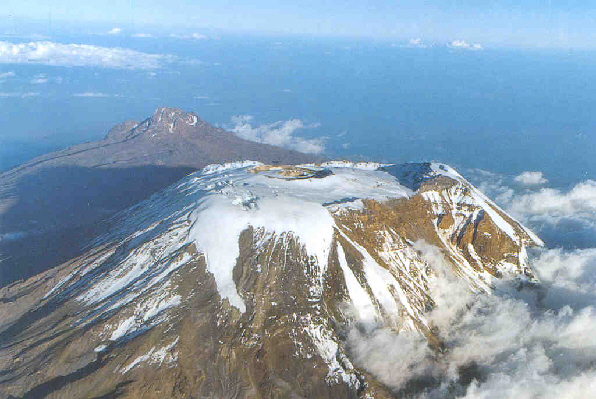 Mount Kilimanjaro in Tanzania is one of the most impressive mountains in the world. It may not be the highest – although it’s certainly not small at 5,895 m tall – but it looks incredibly imposing rising out of the otherwise flat plains that surround it. Climbing Kilimanjaro is a challenge that many keen hikers love to take on – and with very good reason. As it’s the highest walkable peak on the planet, reaching the top is definitely no mean feat and getting there is just as much fun, as long as you pick the right route. We’ve put together a brief guide to climbing Kilimanjaro for anyone who’s new to mountain walking and wants to know more about this amazing peak. If you’d like further details of itineraries, check out the routes that Explore Worldwide follows. One thing that can be a little confusing for first-time climbers on Kilimanjaro is deciding which trail to follow, as there are six potential ways to get to the top of the mountain. As you may expect, some of these are more suitable for beginners than others. Umbwe is definitely a route to avoid, as it’s incredibly steep and is therefore only really suitable for those with extensive mountaineering experience. Rongai is a lovely trail to follow, as it’s the only one that approaches the mountain from the north and gives you a true wilderness experience. Anyone who’s worried about acclimatisation should go for the longer Lemosho route, though. This track starts at a very low altitude and ascends gradually, giving you plenty of time to get used to the thinner air as you climb higher. It’s also a very scenic track and it leads you through all of Kilimanjaro’s varied climatic zones. One key thing when it comes to any serious mountain hike is fitness – and if you’re attempting to climb Kilimanjaro you need to make sure you’re in good physical shape. The reasons for this are twofold: firstly, you’ll deal better with the actual climb and secondly, your body will acclimatise more easily to the lower levels of oxygen in the air. You should therefore leave plenty of time to do some training ahead of your trip to Tanzania. While going to the gym can certainly help, one of the best things you can do is go on regular walks – preferably ones that involve some steep climbs. This will help to prepare your body for the exercise you’ll actually be doing and ensure you have a more enjoyable ascent. In terms of acclimatisation once you’re on the mountain, the key is to take things slowly. Don’t push yourself too hard or you’ll find your body struggles to cope at higher altitudes. Instead, don’t rush, stop frequently to admire the amazing views and go at a steady pace that suits you. Another essential thing to remember is that dehydration can make it much more likely that you’ll get altitude sickness, so it’s vital that you drink plenty of water throughout the day when you’re on the mountain. You’ll get a full kit list from your tour operator when you’ve booked your Kilimanjaro climb, but there are a few pieces of gear that you’ll certainly want to have with you. One of these is a comfy pair of walking boots – make sure you wear them in well before you travel. A refillable water bottle is another essential, as is a torch and several pairs of good-quality walking socks. When it comes to clothing, you’ll want to dress in layers. It’s particularly useful if your underlayers are wicking, which means they draw the sweat away from your skin and help it evaporate, ensuring that you don’t get cold when you stop moving and the sweat cools.